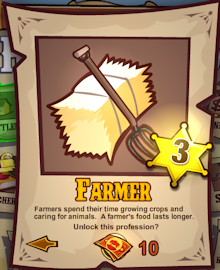 Your first task in TOT is to choose a profession to travel as. 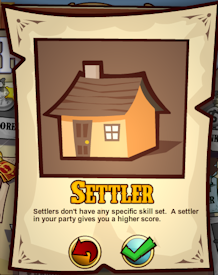 A settler gets a higher score in the game. 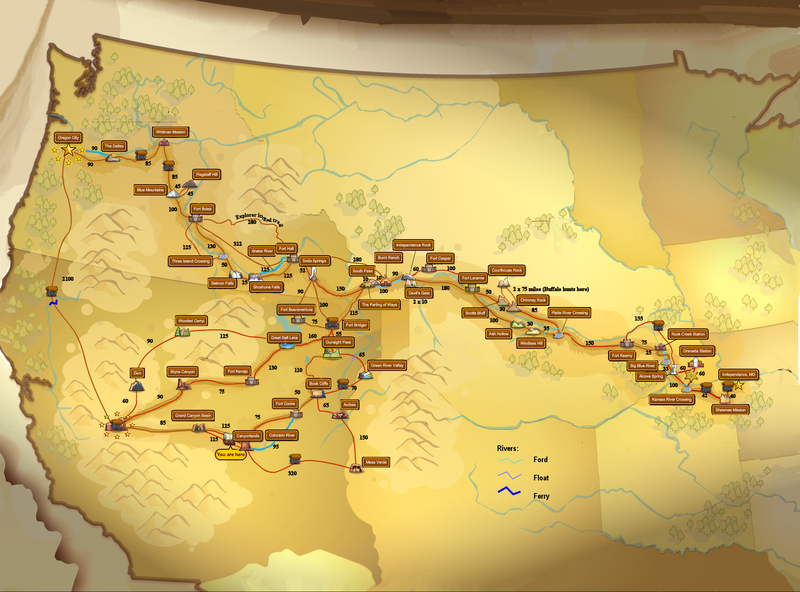 Either travel as one or have a settler in your team to take advantage of this. The explorer gets an extra option when people get lost. Choosing this 'Use your know-how to track them down' means that you don't lose time looking for them. 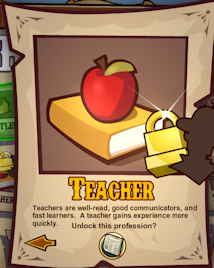 You need the help of 6 friends to unlock this profession. The XP bonus works even if you only have a teacher in your party! Always travel with one in your team. Bankers earn more money from trade goods. 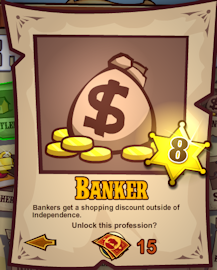 The most profitable item for the banker to sell in OC is the necklace. 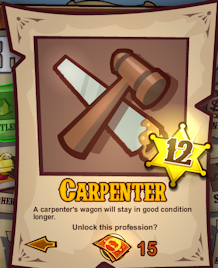 Only carpenters can buy carpenter's tools which give 35% better wagon repair bonus. 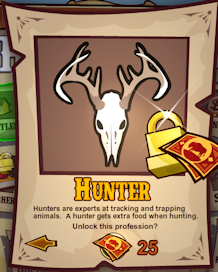 The hunter can buy 'Huntsman's furs' from the peddler (5TN). These give+5 to health when hunting and a slight increase in firepower. Soldiers can travel slightly further on stamina. Normally you use 1 stamina per mile. Anyone know what the value is for a soldier? Soldiers can buy in OC a Gatling Gun. Only a soldier can use it. It is always able to fight off bandits. 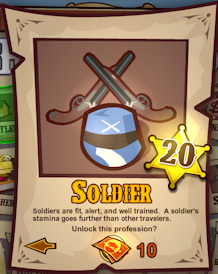 Soldiers can buy an army uniform which reduces the chance of bandit attack. 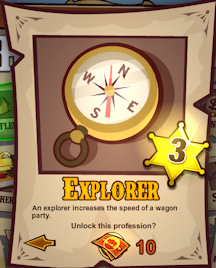 A doctor has a greater chance of keeping the wagon party free from disease and injury. Cures almost always work. 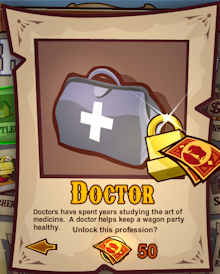 This makes the 'Field Medic' achievement easier. 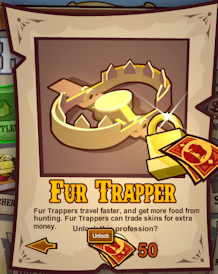 Fur trappers can sell skins they collect at a greater price in OC. A fur trapper can make the greatest profit by having the Ceremonial Skinning Knife (10 TN from peddler or indians). The most profitable item is the Giant Grizzley Pelt which makes the fur trapper more profit than the necklace does for the banker. 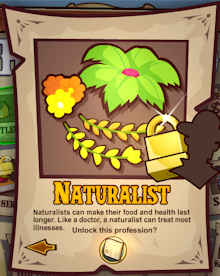 Naturalists cure almost all diseases and injuries sucessfully. 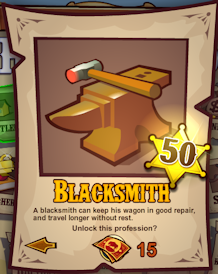 Blacksmiths can buy the anvil in Independence which gives a large bonus to wagon repairs. Very useful on the long trail from the Grand Canyon.